Visitor Log-in is used to record the information of the person visiting the site. It is to ensure that no one could go in and out of the site unchecked or unnoticed. This form is used to record all the visitors that have been in the site. Project Page – Click Risk Management tab > Create on Visitor Log-in tile. 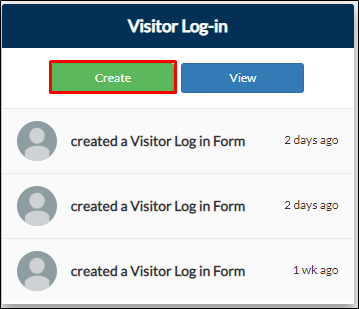 Search Bar – Type Visitor Log-in then click on the result.